Grooming is one of the most important responsibilities that pet owners have. It's not just about making sure that your pet looks nice. Grooming also helps keep your pet happy and healthy. The following pet grooming tips will help ensure that you're taking great care of your pet's coat, nails, skin and teeth. Bathing your dog or cat helps keep their skin and coat clean and free of dirt. 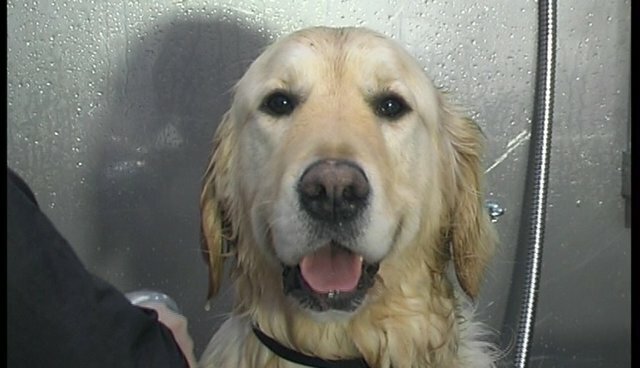 You should bathe your dog every few months, unless he really needs one before then. If you have a cat, you can bathe her when her coat looks oily or if she's noticeably dirty. Bathing is something that pets either love or hate, so be prepared to help your pet get used to being in the water. If your pet keeps giving you a hard time, responsible pet groomers can handle this task for you. Dogs and cats both need regular brushing to get rid of dead hair, reduce tangles and mats and remove dirt. If your pet has shorter hair, you can brush her once a week. Pets with longer or thicker hair will need to be brushed daily, though. Most pets enjoy being brushed once they're used to it, so this is a grooming task that's easily done at home. Keep in mind that brushing also gives you a chance to check for signs of fleas on your pet, such as tiny black specks. Keeping your pet's nails trimmed reduces his risk of having them catch on something and tear. Clipping a pet's nails can be challenging, since some dogs and cats really don't like having their paws handled. You can try to do this yourself by gradually getting your pet used to having her paws touched. If your pet won't sit for you, though, or if he growls when you try to clip his nails, pet grooming professionals can do this for you. Pet groomers are often skilled at keeping pets calm while having their nails clipped. Your pet's dental health is highly important. Bad teeth or gums can cause other problems, including serious infections. In addition to having the vet examine your pet's teeth during checkups, you should also brush them a couple times a week or as often as your vet recommends. Just make sure that you use toothpaste that is specifically made for dogs or cats, instead of regular toothpaste. Need to find a reliable pet groomer near you? Visit CareBooker to search for qualified groomers who will take good care of your pet.